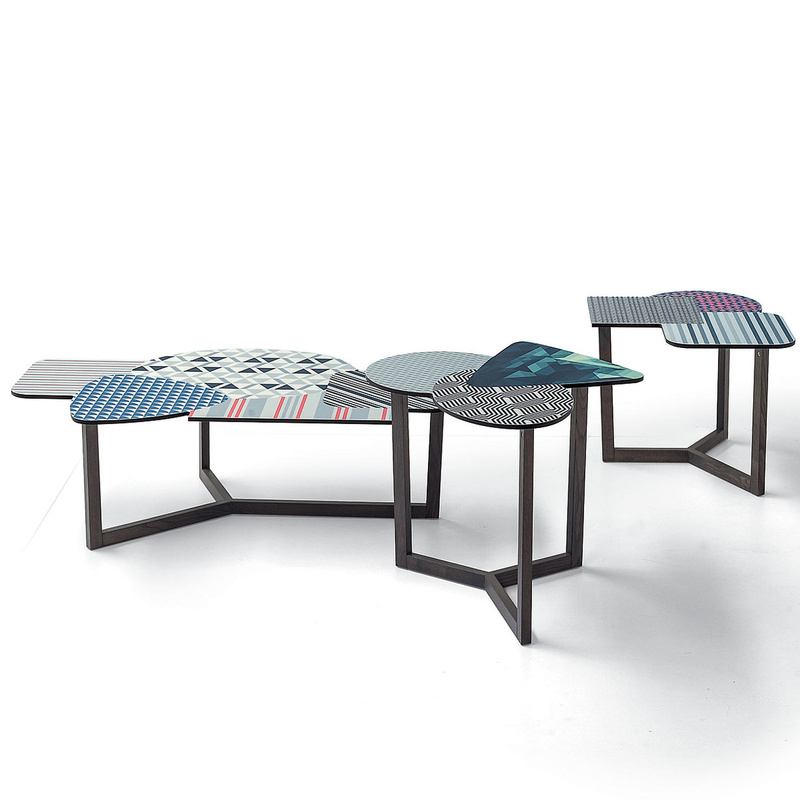 Geometrical motifs blend together in the Doppler coffee table by Bonaldo. 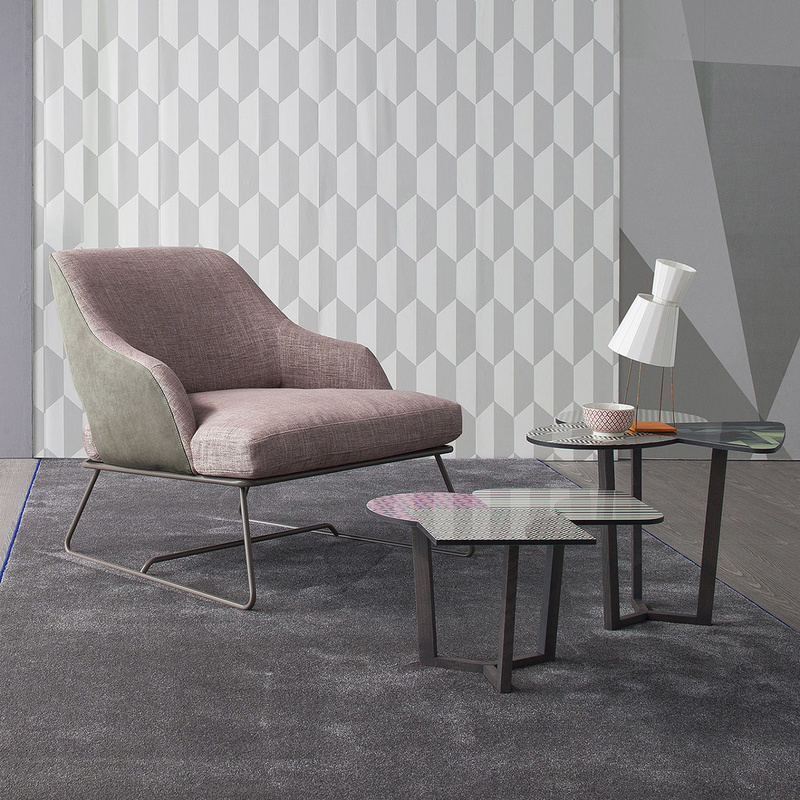 Featuring a strong visual impact thanks to its original decorative theme, the Doppler coffee table by Bonaldo is made of a structure in ash wood, painted in a special gray colour and sporting three captivating and exclusive geometric shapes: triangles blend in with circles, squares turn into ovals… The shelves are made in paper and resin laminate, a material that is durable and easy to clean with just a damp cloth. 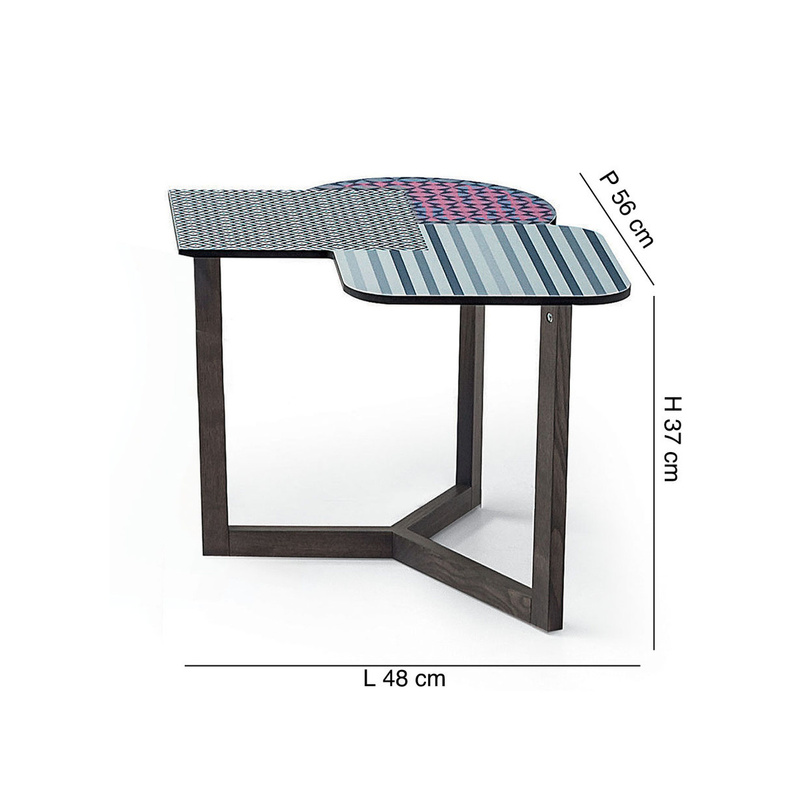 Measuring 44cm in height and 53cm in width, the Doppler coffee table combines different and varied patterns – white and black zigzag lines, multicoloured stripes in blue, fuchsia splash patterns, and many more – that make it easy for you to match this table to the existing décor. 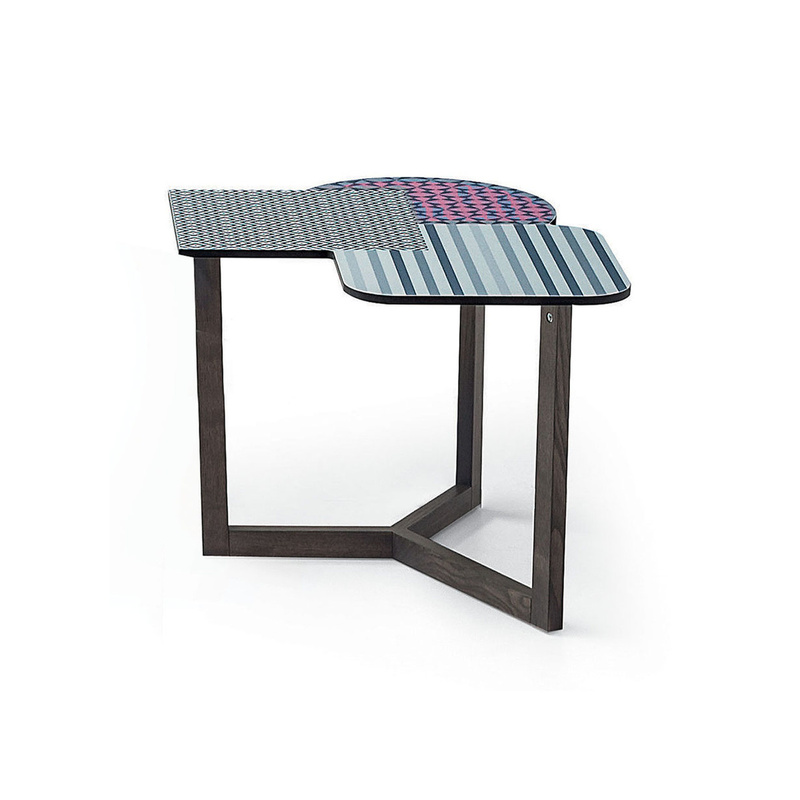 Created by designer Giuseppe Viganò, this table is a stylish and refined accessory which can be placed just about anywhere: in the lounge to complete a contemporary and modern décor but also in children's room to provide them with a colourful surface on which to play, or in the living room, for your guests to have a place on which to lay cups of tea and coffee. Moreover, the beauty of this table can easily decorate outdoor areas like porches and verandas where, surrounded by chairs by Bonaldo, it will help you create a peaceful corner in which to enjoy cool summer evenings. He gained a diversified experience in the furniture industry, which allowed him to acquire a global vision of the project. The first experience, as a seller-decorator in the most qualified furnishing exhibitions, allows him to get in touch with the needs and tastes of the public; the same points of sale then becomes art-director and takes care of the entire organization of the point of sale, from the preparation of the exhibition space to the choice of companies and products, passing from sales management to staff training. All these experiences led him to the in-depth knowledge of the furniture industry, to constant contact with the market and the taste of the final consumer. 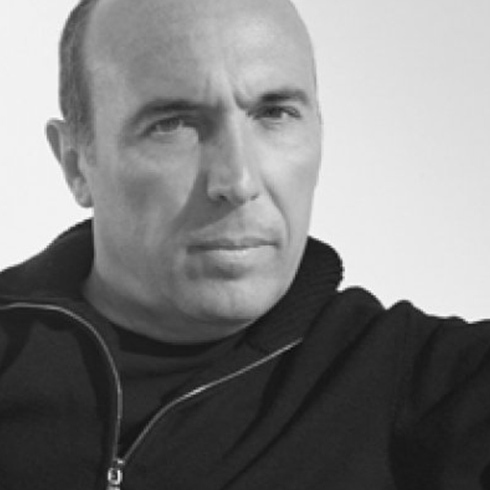 Since 1988 he has a design studio in Lissone where he mainly deals with industrial design: there are numerous collaborations with prestigious companies in the furniture sector for which he designs products, image and communication.